The week will start and end unsettled with nice conditions in between. Monday and early Tuesday will have chances of showers and thunderstorms. Tuesday Night through Thursday will be dry with showers possible on Friday and then again on Sunday. Highs will range from the 50’s to 70’s with overnight lows in the 30’s to 50’s. Water, surf and beach conditions will be mixed with good conditions mid week. The rest of the week will range from Borderline to Hazardous. 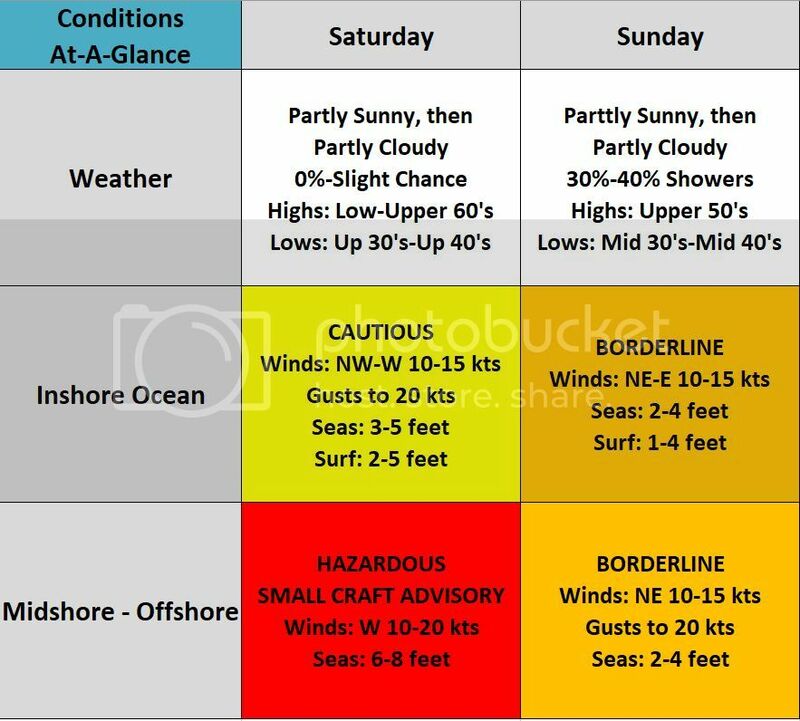 Surf and beach conditions, overall, won’t be the bad and inshore and bay conditions could be good, as well. High pressure will continue to move east of the area this evening. Low pressure will move north of the area later tonight through Monday night. An attached front will cross the area Tuesday while another weak low passes south of the area. High pressure will build in for Wednesday and Thursday. Another low will affect the area for Friday and into early next weekend. There is a Severe Weather Risk for tonight into early Monday Morning. A line of thunderstorms that began in the Southern US will move into the area ahead of a cold front. These same storms were deadly in several states. The Severe Weather Risk will come during the night (the most dangerous time of day) and the Storm Prediction Center has placed parts of Western NJ in an Enhanced Risk and the rest of the state in a Slight Risk. The biggest risk with these thunderstorms is heavy rain, dangerous lightning, damaging winds, isolated tornadoes, and hail. 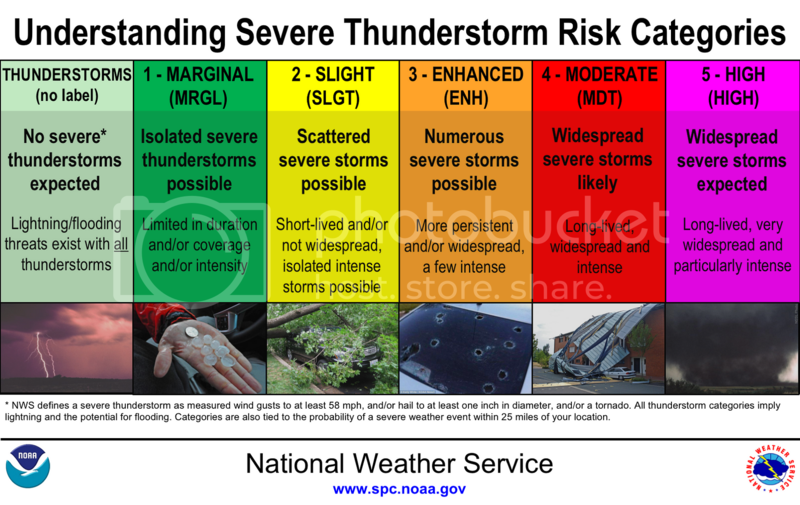 Now is a good time to review your Severe Weather Plans and make sure you have a way of receiving weather alerts while you are asleep.